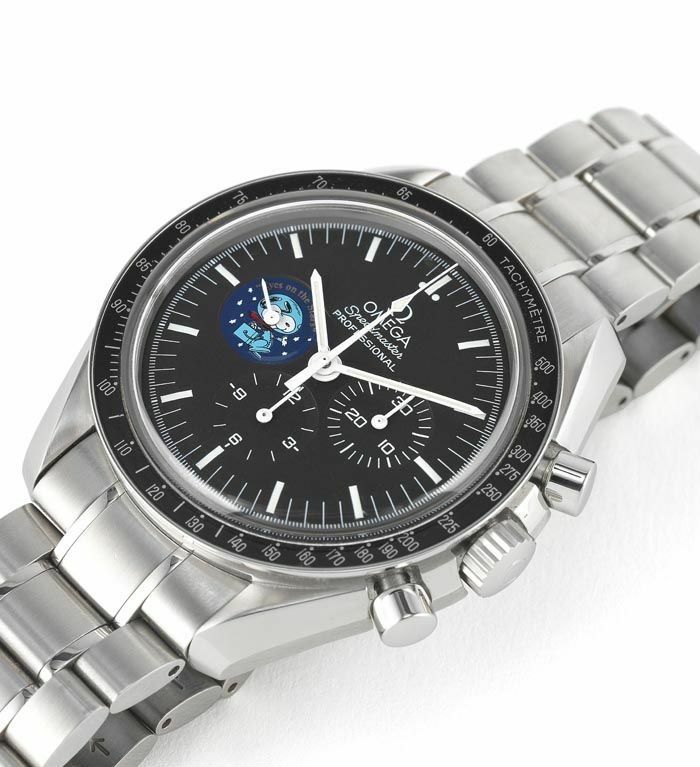 Omegans Pay Attention – Interesting Auction At Bonhams On Speedy Tuesday! On February 26th, a #speedytuesday, Bonhams in Knightsbridge London will have a watches & wristwatches auction. Auction no. 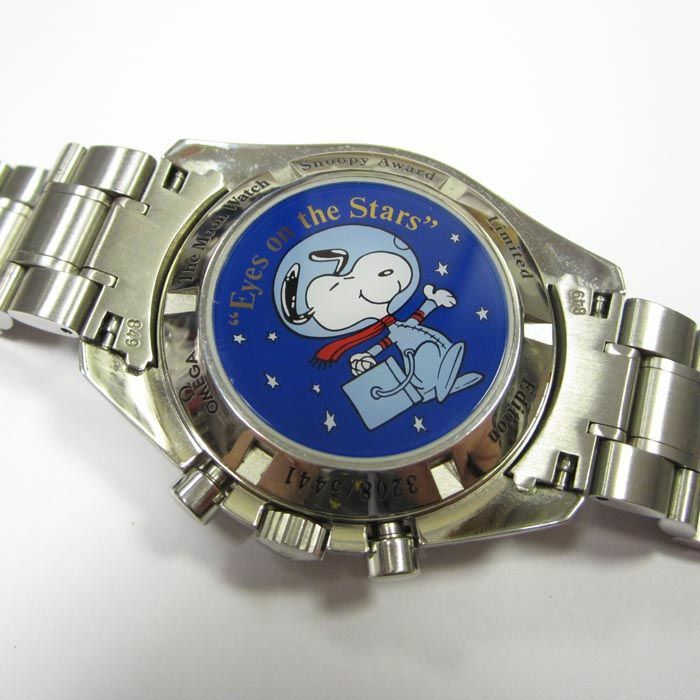 20745 has 290 lots of pocket watches and wristwatches, including those from Audemars Piguet, Cartier, Girard-Perregaux, Rolex, Jaeger-LeCoultre, Patek Philippe and so on. 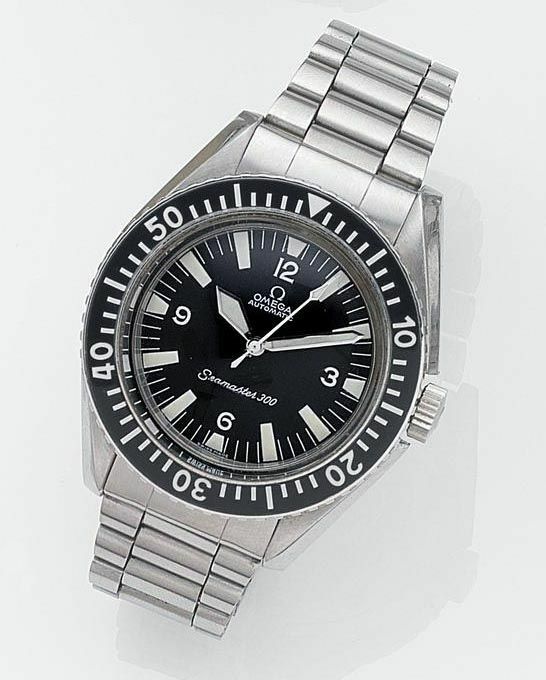 However, we would like to emphasize on the Omega lots they have in the Bonhams auction catalog. One of the most popular modern Speedmasters amongst collectors is this Speedmaster Professional Snoopy ref. 3578.51 from 2005. 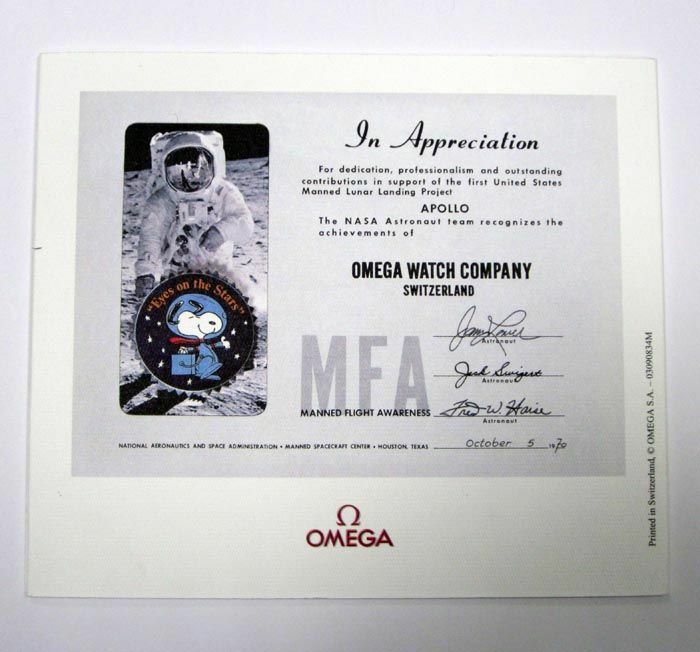 While there are 5441 pieces made of this version that commemorates the Snoopy Award that Omega received for its role in the safe return of Apollo 13 on that 17th of April 1970, they are very hard to find in the right condition for the right price. Bonhams has one in their auction catalog, lot 266 and estimates it at 2400 – 3600 Euro / 3100 – 4600 USD. Difficult to find these days, in untouched condition. Although I am convinced the ref.1171 bracelet does not belong to this watch, the watch itself seems to be in good and original condition. This Omega Seamaster 300 ref.165.024 has the red gilt in-house caliber 552 movement, which I consider one of the most beautiful movements of Omega in that time period, together with the 56x calibers from that era. This lot (144) has an estimate of 1200 – 1800 Euro / 1500 – 2300 USD. Last but certainly not least, this Flightmaster ref.145.036 with caliber 911 (extra timezone) is also quite interesting. 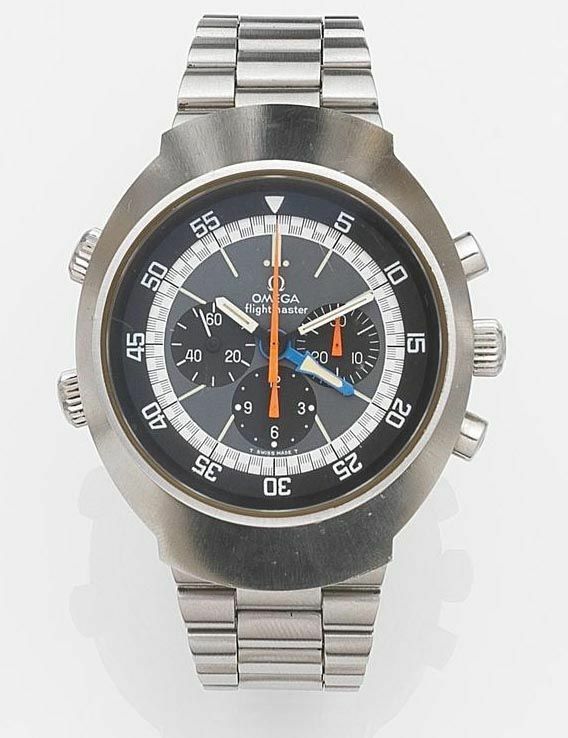 This ca.1972 Flightmaster is considered family of the Speedmaster collection and was meant to be a real pilot’s watch. The current Omega Spacemaster Z-33 has been heavily influenced by both this Flightmaster and the 1990s Speedmaster Professional X-33 watch. The X-33 and Z-33 have yet to proof themselves being or becoming true collector’s items, while the Flightmasters (both versions, this caliber 911 and the caliber 910) can already count on a lot of collecting enthusiasts. More interesting lots can be found in their auction catalog 20745. The auction starts on the 26th of February, at 12:00 GMT.